I will be starting a project soon with a bike that has no BB cable guides. And I want both front and rear changers. The bike apparently used a clamp on type like the one pictured below but it's long gone. Anyone know of a source of these or an alternative approach? I should note the right chainstay does have a housing stop on top, back by the rear dropout, so I do want to sort out a way to route a bare cable through this area, above the BB. +1 to ebay, though the one in the link above doesn't match the one pictured. Note the one in the link above requires a housing cable from the guide to the front derailleur. If you need one with two cable channels, try this: ebay link. Thanks guys. Ebay to the rescue again. Yes, I need a double guide -one on each side. ^Nice! With the nice chrome protection, and cool patina'd orange paint, I'd be inclined to build it up as is. So am I. If a whole lot more paint flakes off after a while, I will expose all of the chrome and polish her up, but for now I like the 'beausage' look. 1977 (78?) Schwinn Volare. Reynolds 531c tubing. 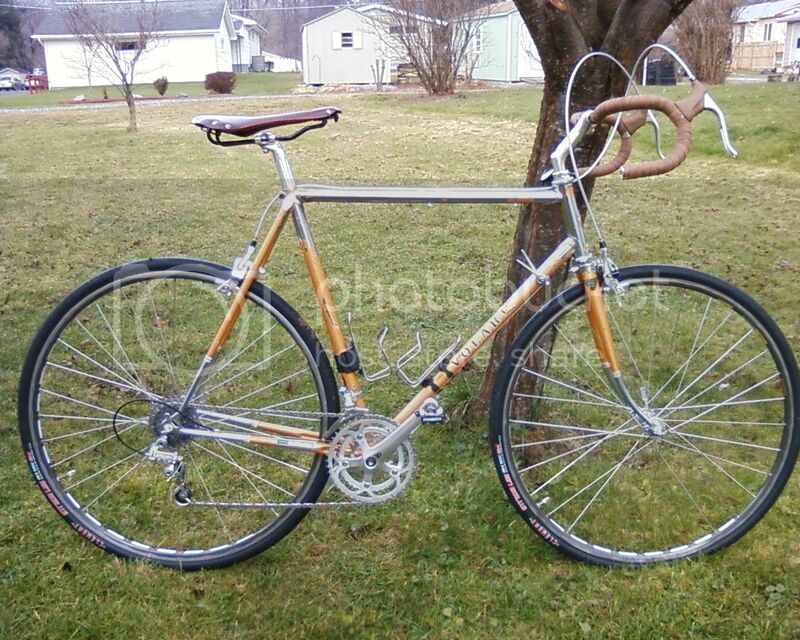 Built by Panasonic for Schwinn. The so called Japanese Paramount. Rode it yesterday for about 30 miles. LOVE IT. What a nice riding bike. Feels lively and springy. Not sure how to express it. Handling is great. Riding no hands is easy, and the steering is quite neutral. Turns when I want it to turn, goes straight when I want to go straight. 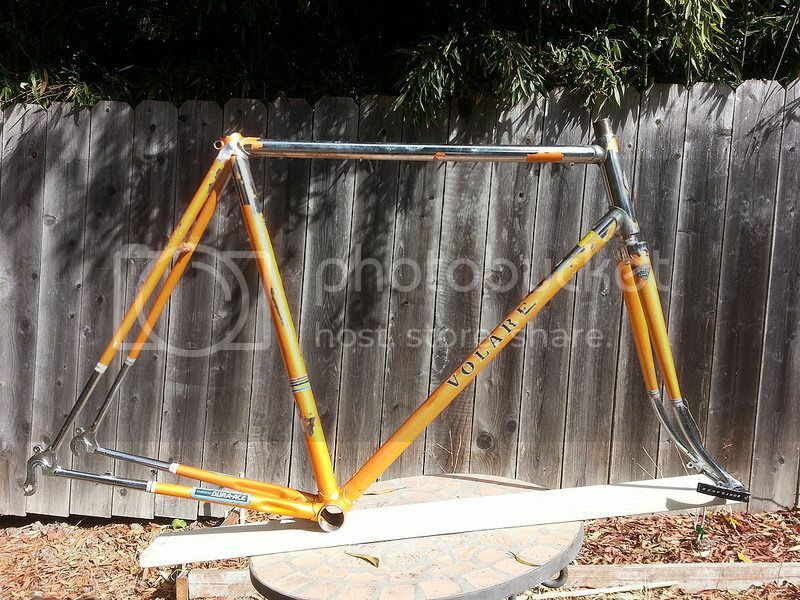 The bike had orange paint throughout but with unpainted head tube lugs and fork crown, fork tips and rear stay ends. Apparently they chromed the whole bike and then just painted over top. Well, the bond must have been poor (obviously). Sorry for the poor quality pic. Will take some better ones soon.